There was a lot about this book that I thought I was going to like. It's a contemporary romance set in a high school with a a girl who doesn't run in the mainstream pack but prefers indie bands and consignment clothing. And then you find out she has a secret pen pal. I kind of like the secret pen pal trope. But none of this really worked in the end which made me sad. Lily is an aspiring song writer. Instead of paying attention in chemistry class one day (well...really any day...not quite sure how she has a passing grade in chemistry) she daydreams and jots down the lyrics from a song by one of her favorite bands on her desk. The next day when she takes her seat she notices that someone has finished writing out the lyrics. Thus starts communication with a secret pen pal. The premise itself isn't bad. Unfortunately the character development doesn't support the storyline. Lily complains often about her hectic family life, but it's not that bad or overwhelming. She has two younger brothers that occasionally cause mischief and an older sister in college that she still shares a room with - nothing too extreme (there's also a rabbit and some weird competition between her parents, but both relatively harmless). West also likes to point out that Lily is "quirky" (listening to indie bands and making her own clothes) but hardly any time is spent on those two aspects. We're told about them but never shown the quirkiness, offhanded remarks trying to create a personality type. Instead, Lily's unique personality traits come off as judgmental and wishy-washy. I didn't not like Lily, but I also didn't want to become her best friend. The story was also extremely predictable. Sometimes I don't mind. Sometimes I just enjoy the journey even if I know what the outcome is going to be if there is something new offered. But this was a story I have read before. I feel like this is harsh. I don't mean it to be. It was okay, just nothing special. After reading some other reviews, other titles by West seemed to have initiated better reactions from readers. I definitely think it's worth trying out one of her other books. Contemporary fiction is always tricky because I'm constantly comparing it to Sarah Dessen, Morgan Matson, and E. Lockhart, three of my favorite authors. 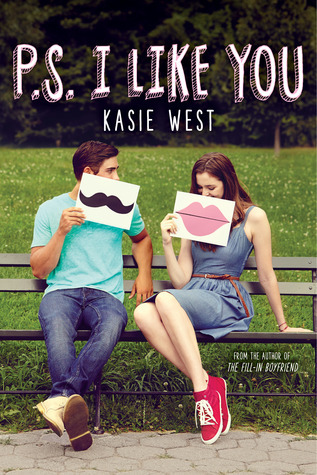 Any suggestions on what other Kasie West title I should try?